Our Honda service center works hard to earn our customers’ loyalty, which is why we make sure they leave 100% satisfied with their vehicle. Our certified technicians are some of the best in the business and handle anything from an oil change and tire rotation to major engine and transmission repairs. Our knowledgable staff uses OEM recommended parts to ensure that your vehicle will continue to perform at optimum performance and safety. Plus, our large selection of parts helps us serve all of our customer’s needs in a timely fashion. Not sure when to bring your Civic in for maintenance? Check out the latest maintenance schedule. Make sure to check out our service specials to get the best price for your services! 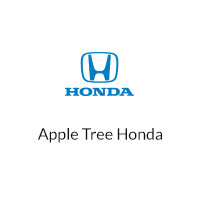 Come see us at Apple Tree Honda today, where we will show you that our primary goal is customer satisfaction through good customer service and repair work done correctly. Here at Apple Tree Automotive; we understand that your time is valuable. Our “Express Service” saves you time and money. What does this mean to you? With a Quick Lube Express Appointment; you will no longer wait in line for an undisclosed amount of time. Service work such as oil and filter changes, tire rotations or vehicle inspections should be a quick in and out process. Do we still see walk-in visitors to the Express Service Lane? Absolutely. However, walk-in visitors will be given an estimated time of completion based on the service appointment schedule and clients still scheduled to arrive. Please be aware that non-appointment customers could wait longer than normal depending on that day’s business schedule. Find out more about our Honda service hours or contact Apple Tree at 828-684-4400 and follow the prompts to make your reservation today!